Over the last decade functional verification of ASIC systems has witnessed a paradigm shift in verification methodologies. Until late 90's a verification project requirements were met by traditional test-benches written using a HDL(hardware description language, used for coding the design) or a software language like C. These test environments supported directed testing by generating a pre-calculated stream of input data only focusing on the desired coverage points in the design.As the design size and complexity grew exponentially, with a million gate design becoming the norm, clearly the directed verification approach is quite cumbersome. It is an almost impossible task to manually code the test vectors to test your million gate design under all operating conditions. The ever increasing aggressive project schedules also pushed in favor of a powerful yet easy to develop test environment. Hardware verification langauages (HVL) came as a boon to solve all these problems. HVLs typically include features of high level programming languages like C++ or Java and in addition they support built-in constructs which help you develop the environment with fewer lines of code. It is much easier to generate random stimuli or constrained random stimuli, as needed and the built in HDL interface support let’s you hook up the environment and the DUT seamlessly. Of the handful of HVL choices available in the market SystemVerilog and e language (Specman) are the most popular and widely adopted by semiconductor companies. The reason for these two languages being the preferred choice is not just the language features itself but the accompanying methodology prescribed by the EDA vendors (ex: OVM/VMM for SV and eRM for e language). These methodologies provide guidelines to build modular, re-usable and extensible verification modules which support plug and play development. With most of the silicon designs today adopting the SoC (System-on-Chip) methodology where several design IPs are integrated on a single chip, there is a new requirement for corresponding verification IPs (VIP). By taking advantage of the VIPs available in market, the verification team can build a test environment for a complex SoC with minimal resource and time utilization. A standard verification methodology serves as a common platform for the various third party VIP developers and its customers. So it’s actually the verification methodology rather than the language which influences the decision on VIP selection. Some methodologies have made it possible to integrate verification modules written in different languages so that you don’t have to discard any legacy code if available (you may have to make it methodology compliant though). VIPs and verification methodologies are still relatively newer concepts to the verification world and is being tried out in experimental phases by semiconductor companies. Not all of the industry leaders have adopted these methodologies completely probably because of the overhead in training their current workforce and replacing the legacy code. Here’s hoping that the EDA vendors enhance their methodologies to make it more developer friendly. An effective verification plan encompasses a detailed description of the complete hierachical verification methodology at unit and full chip level. It is important to consider at what verification phase directed vs random tests will be applied or when to stop investing effort on building a stand alone test environment that can provide greater coverage and instead, migrate to full chip level tests that deliver a more comprehensive understanding of the sate of the chip. A good verification plan addresses many questions like what tools can be used for stand alone and full chip and for what specific type of tests. Creation of expected result scenarios along with the self checking mechanism should be detailed to improve automation and to drive the highest return on performance. In addition to each verification phase, testbench deliverables, dependencies like RTL availability, milestones like tests to be completed or written and any assumptions need to be specified and understood thoroughly. Finally, upon completion of the verification plan it has to be reviewed by both the design and verification teams and a matrix has to be created to track test coverage and then use it to measure the completeness or progress. Is is also important to know when and how to apply technologies such as emulation and formal methods to leverage key strengths to avoid any weaknesses and achieve high design quality using the verfication effort. The semiconductor industry in general demands two special skills in every engineer. One of these skills is more trivial, that being the technical know-how and ability to grasp requirements & specifications. The other one is soft skills. The first one is mainly used to perform the required verification duties at work, and second one helps in planning an approach to solve the impending issues or problems. The bottom line is that a good engineer will have a blend of both technical and soft skills. Technical skills are more profound in people with greater hands on experience. Needless to say, the more adventurous you are to dive deep and the more complex your targets are, the more you learn and this is where you really add value. Technical skills will eventually teach you how to meet these expectations. Soft skills are the ones that define an engineer’s approach towards work and life and in most cases define stress that is more individual specific. Soft skills are actually people or inter-personnel skills. The best part about mastering it is that the application of these skills is not limited to one's profession, but their scope reaches beyond. Soft skills teach one to succeed, and to exceed expectations. There are situations that we come across during our day-to-day work life as a design or verification engineer in which one person performs better than the others just on the basis of Soft skills - be it winning an argument with someone on the basis of his/her communication or finding/handling multiple tasks effectively because of superior organizational abilities. Soft skills are extremely important for engineers and this is something that is often overlooked. It is surprising that we spend most of our time educating almost exclusively in technical skills while thinking you are good at soft skills. Our reactions in a complex setting vary widely with situations, emotions, requirements, time, belief, knowledge and expertise. Being such complex, a normal human being will be no exception at a work place where the stakes are very high. Therefore the quality of a job done by an engineer is directly proportional to his or her psychological maturity and profoundness acquired, adopted and developed with age and experience. be able to learn them. VLSID 2010 Conference (Bangalore): Registrations open! VLSID 2010, Asia’s premier technical conference on VLSI design, EDA and embedded systems will be held at NIMHANS Convention Center, Bangalore, India from January 3 - 7, 2010. The conference agenda is now live, and can be found on their website! VLSID 2010 features an exciting lineup of seventy technical papers, eight distinguished keynote speakers, and nine invited embedded tutorials/hot topic presentations on the three days of the conference (January 5 - 7). On the two days preceding the conference (January 3 - 4), there are eight tutorials, including one hands-on tutorial being organized for the first time in the history of the conference. Other events that will happen concurrently with the main conference include industry and education forums, exhibits, and Design/EDA/Systems contest. The conference call for participation is available for viewing!! When people give negative feedback about you? For the most part the primary reaction is to defend yourself with a cause or justification or to just outrightly acknowledge and move on. We may sometimes be in a situation not knowing how to respond! We may even be not sure if we have the capability to really tackle this in a professional and meaningful way. 1. Is the feedback legitimate? There are many instances where the negativity actually has some merit. It's hard for everybody to have a pristine experience when issues pop up. In a lot of instances, the negative feedback is not about the overall work quality or efficiency, but is an exception to the rule. If the negative feedback is legitimate, it does require some kind of response. Does it require a personal response in every instance? Not necessarily. As long as the response is communicated in a human and personal way and mutually agreeable it could correct the course. 2. Is the person crazy? Don't laugh. It is possible. We've all read peer reviews and marvelled at how someone's review of a work package has no real attachment to the reality we all share. The world is full of crazy people who are just looking for a soapbox to be heard or a cause to take on. In this instance, you have to tread carefully. Responding may open up a can of worms that will see no end and no reason. No responding might only aggravate the individual. These are special/case-by-case instances, and they might require something more traditional - like a phone call - to try and resolve the scenario. If you get a mixed bag of Positive and Negative feedback very frequently from the same person, it just time to re-think your strategies. 3. Is apologizing an option? Apologies definitely go a long way. But be political and dont give away too much! 4. Should you just forget about it and move on? There are many schools of thoughts on this. Some people say you have to respond to each and every piece of feedback (both positive and negative), some argue that you should only respond to those who really do have some kind of impact, and then there is the group that simply sits backs and just lets it fly without ever responding. Your mileage may vary. Depending on the scenario, the type of feedback and the voices behind the noise, is how you will best gauge how to respond. It is usually good to respond in some kind of fashion so that your own POV (point of view) is - at least - a part of the conversation. 5. Should you respond to everything? It's very easy to respond to the good stuff, it is hard (and time consuming) to respond to the negative by citing justification and stuff. The answer to this one ties into #4. In a perfect world, yes - respond to everything (with the exception of the people in #2). In responding, you're not just answering to this one individual's gripe, you're better able to reflect on how your brand "lives" in people's minds, and I believe this will make you a better Marketer, a better Communications Professional and a better brand. Fedora Electronic Lab (FEL) comes to fix one big problem in the opensource community. The problem is : there is no one who provides opensource EDA solutions for the real life. Although it is one problem, it is very complex in itself. 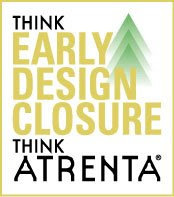 In real life, designers use EDA software to design chips or circuit boards. Thereby the designer requires a set of hardware design tools to design his/her chips. However the same set of hardware design tools does not apply for every hardware design project. * opensource EDA community builder. * Deployable in both development and production environments. * No kernel patches are required, making it easy to deploy and use. * No licenses required and it is free. * a collection of Perl modules to extend Verilog and VHDL support. * tools for Application-Specific Integrated Circuit (ASIC) Design Flow process. * extracted spice decks which can be simulated with gnucap/ngspice or any spice simulators. * interoperability between various packages in order to achieve different design flows. * tools for embedded design and to provide support for ARM as a secondary architecture in Fedora. * tool set for Openmoko development and other opensource hardware communities. * a Peer Review Web-based solution coupled with Eclipse IDE for Embedded/Digital Hardware IP design. FEL live CD can be downloaded here..
Did you try using our custom search box at the top of the page? Still not found? Please send us an email and we will author an article on that missing topic. With developed markets saturated and shifting mostly high-end handsets, and mid tier phone providers continuing to struggle, market tracker Juniper Research suggests low-cost devices sold to the emerging markets will be the only ray of hope in the short term. Engineers at Nokia have hatched a plan to for a system that'll charge phones using nothing more than ambient electromagnetic radiation, or, as you and I might put it, electricity sucked from thin air. It sounds a little sci-fi at first, but it's not: RFID tags are powered by electrical signals converted from electromagnetic waves emitted by a nearby sensor machine, which is exactly how this system is said to work. The thing is, the amount of electricity involved here is tiny, and Nokia's system won't even have a base station—it'll draw from ambient electromagnetic waves, meaning Wi-Fi, cell towers and TV antennae. Nokia hopes to harvest about 50 milliwatts—not quite enough to sustain a phone, but enough to mitigate drain, and slowly charge a handset that's been switched off. I would say it is possible to put this into a product within three to four years. 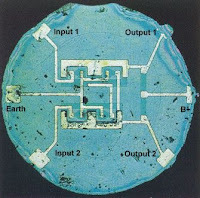 In 1965, Gordon Moore sat down to pen his article for a Electronics Magazine and this is when he saw some fundamental drivers in the Integrated circuits. Little did he know how powerful his vision would be, or the longevity of what others would come to call a law. Forty year later, in celebration of his birthday, the semiconductor industry association devoted its annual report to Moore's law. They searched the world for the top two Moore's law scholars: one from the industry and one from the academia. they then commissioned these scholars to write two papers that describe Moore's law, its history, its economics and its impact on the world. The author (Mark Smotherman, Associate Professor, School of Computing, Clemson University) makes an effort to list the key computer architects mainly to recognize their work. The listing comprises of instruction set architecture (ISA) and its architect(s), followed by implementations of that ISA and the associated microarchitect(s)/designer(s). The processors that are listing have been available for sale commercially, and in most instances, have categorized the processors by company. The current list mainly includes late 1980's and 1990's ISAs and microprocessor implementations. The list especially highlights the high-performance (i.e., high-risk) implementations. The success and failure of high risk computer developments can quite often be traced to a single individual. It is not accidental that unique persons such as Gene Amdahl, Seymour Cray, Fred Brooks, and Bob Barton have become recognized leaders in the computer architecture and design field. Their reputations did not arise from a happy coincidence of being associated with a successful project; rather, they stand out because of their ability to generate a system wide concept, determine a course of action to get it implemented, make the necessary tradeoffs and finally drive through all obstacles to ensure completion of their vision. Also read: Which Machines Do Computer Architects Admire? Interesting site with lots of tutorials on RFIC design. Checkout the other lectures in the same category. During a conversation voice modulation plays a major role in defining the atmosphere to get the message out. In this post we look at the various factors that can be worked during a conversation. Pitch: Musical notes as in "Do Re Me So .." or "Sa Re Ga Ma .." usually start from low pitch to high pitch. Volume: How loud can you be. Tone: The character/Timbre of sound. (Eg. The Rustle of Paper or the Tinkle of glass. Pace: The speed of conversation or how long a sound lasts. 1. Cup your right hand around your right ear pulling it forward. 2. Cup your left hand around your mouth to direct sound in to you ear. 3. Then talk and hear your voice. This is pretty much how people will hear you. OpenFPGA is an emerging effort to foster and accelerate the adoption and incorporation of reconfigurable computing based computing solutions in high-performance computing and enterprise application environments. OpenFPGA will foster shared and open efforts to address challenges of portability, interoperability and intra-application communication for FPGA and reconfigurable applications in high-performance and enterprise computing environments. A free design automation tool for chip estimation has been developed by Giga Scale IC, Inc. The tool named "InCyte" estimates IC die size, power, leakage, yield, and cost, enabling designers to visualize both the technical and economic impacts of their design specification. The tool's rapid "what-if" analysis makes it easy for designers to visualize tradeoffs between key design metrics, and across technology nodes and process variants. Users can generate accurate and optimized chip estimates at the architectural stage of the design process, resulting in significantly shorter design times and lower design costs. Prof. Saeid Nooshabadi of the University of New South Wales in Sydney, Australia, has an excellent website describing his course and the accompanying laboratory-based exercises. Emphasis is placed on interfacing the ARM processor to other programmable hardware devices. Students use GNU tools operating under Linux to compile and simulate C, C++ and assembly-language programs. FPGA development is performed using Xilinx ISE WebPack and ModelSim-XE operating under Microsoft Windows. Click for additional information! A list of the Top 500 performing supercomputers is available at: Top 500. Since 1993, the list has been updated twice a year to indicate the best performance on the Linpack benchmark. Except for one machine which uses Microsoft Windows, all of the top 500 machines employ either the Linux or Unix operating system. SystemC provides hardware-oriented constructs within the context of C++ as a class library implemented in standard C++. Its use spans design and verification from concept to implementation in hardware and software. SystemC provides an interoperable modeling platform which enables the development and exchange of very fast system-level C++ models. It also provides a stable platform for development of system-level tools. 6. The SystemC language via the IEEE. The open source proof-of-concept SystemC 2.1 library and the transaction-level modeling (TLM) library have been updated. Synthesis of SystemC can be performed using the Agility Compiler from Celoxica. The compiler synthesizes SystemC directly to high-density FPGA and programmable SoC logic and generates RTL VHDL and Verilog for SoC design. SoC designers using SystemC can maintain the C level of design abstraction throughout the entire SystemC design process while taking advantage of simulation speeds that are orders of magnitude faster than RTL. Thus, whole systems can now be verified using the same test-bench at all stages of the design process. CoWare, Inc. has partnered with Forte to provide the first integrated SystemC-based solution for electronic system-level (ESL) design to implementation. The tight integration of CoWare's SystemC-based ConvergenSC system-on-chip (SoC) design tools and Forte's Cynthesizer SystemC behavioral synthesis product unites system architecture, simulation, and synthesis in a first-of-its kind flow. Users can explore and validate a design's system architecture in CoWare's ConvergenSC, then synthesize to RTL using Forte's Cynthesizer, and verify the RTL in a system context with the same SystemC model. 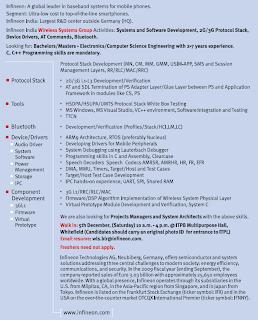 CoWare provides its tools to universities via its university program UniversityProgram@CoWare.com). For U.S. universities, there is no charge for ConvergenSC and LISATek and up to 300 licenses of SPW can be obtained for an annual fee of $500. For European universities and non-profit research, CoWare participates in the EUROPRACTICE program. In India, IIT Delhi and IIT Kharagpur use ConvergenSC and LISATek to support courses on system level modeling, system synthesis and architecture design space exploration. Many important papers have been presented at the annual International Test Conference (ITC) over the past 35 years. The best of these are on-line at ITC Papers. We all know the severity of software piracy in Taiwan & China. But how many of you know that EDA software like Modelsim, Synopsys DC, etc sell on Bangalore streets in India for as low as Rs.25!!!! For the matter of fact, the slumdog who is selling the pirated software in question is not even aware that he is one. The CD is disguised as one of the Recent Bollywood or Hollywood hits. Cops just extort some money and leave him to continue his business!!! National Instruments offers more than 300 world-class data acquisition devices starting as low as $99. Select from USB, Ethernet, Wi-Fi and PCI low-cost DAQ devices offering analog input, analog output, digital I/O, or multifunction I/O. All devices ship with free LabVIEW Signal Express LE data acquisition software. View specs and pricing. About SNUG: SNUG is an open forum that provides Synopsys users worldwide with a unique opportunity to exchange ideas, discuss problems and explore solutions. In addition to a highly technical program that focuses on real-world design challenges, each SNUG event includes interaction with Synopsys executives, product developers and applications consultants about future product directions and product and support quality. Each SNUG is driven by a local Technical Committee, with operational support provided by Synopsys. Sorry, we only Link-Exchange with Electronics, Semiconductors and ASIC/VLSI websites and Blogs! Infineon has introduced two RF-chips for LTE and 3G - SMARTi LU for highest data rates with LTE, and SMARTi UEmicro for low cost 3G devices.SMARTi LU is a highly integrated 2G/3G/LTE multi-mode RF transceiver compliant to 3GPP Rel.7 and Rel.8. It supports up to six 3G and LTE Bands simultaneously with Quad Band GSM/EDGE. Its long feature list includes LTE FDD class 4 (up to 150Mbps downlink, 50Mbps uplink) MIMO Rx diversity (2Rx + 1Tx), HSPA+, HSPA, WCDMA and GSM/GPRS/EDGE. The device is supporting the global spread of HSPA/LTE spectrum throughout a wide variety of bands. With its MIPI DigRF v4 compliant high-speed digital Baseband interface, SMARTi LU sets a milestone towards “all digital” implementation and enables the silicon intensive baseband chips to follow a faster shrink path towards smaller technology nodes such as 32nm and below. SMARTi LU is based on a standard 65nm CMOS technology provided by multiple semiconductor foundries. The SMARTi UEmicro is a single chip 2G/3G CMOS RF transceiver for the low end segment of the 3G market. It is a cost down version of the proven and widely adopted SMARTi UE with a backward compatible hard- and software interface via DigRF v3.09. With the elimination of external Low Noise Amplifiers (LNA’s) and a simplified co-banded RF frontend without Rx filters SMARTi UEmicro is perfectly matching the mass market requirements for ultra low cost 3G handsets. SMARTi UEmicro delivers exceptional RF performance for up to three of the globally used WCDMA bands plus Dual- or Quad-Band GSM/EDGE at lowest system cost. Researchers have built a chip with the equivalent of 200,000 neurons and 50 million synapses in an effort to mimic a human brain in silicon. Although the chip has a fraction of the number of neurons or connections found in a brain, its design allows it to be scaled up, says Karlheinz Meier, a physicist at Heidelberg University, in Germany, who has coordinated the Fast Analog Computing with Emergent Transient States project, or FACETS. A neuron circuit typically consists of about 100 components, while a synapse requires only about 20. However, because there are so much more of them, the synapses take up most of the space on the wafer, says Karlheinz. Infineon Technologies, SkyTerra, and TerreStar Networks today jointly announced the worlds first multi-standard mobile platform based on Infineons innovative software-defined-radio (SDR) technology. SkyTerra and TerreStar are both developing next-generation integrated satellite-terrestrial communications networks. This groundbreaking technology will enable ubiquitous mobile communications coverage from anywhere in North America using mass-market devices costing about the same as terrestrial cellular-only devices. SDR-enabled satellite-terrestrial handsets will operate with multiple cellular and satellite-based communications technologies including GSM, GPRS, EDGE, WCDMA, HSDPA, HSUPA and GMR1-2G/3G. We are very happy to contribute our innovative SDR technology to this exciting new application of integrated satellite-terrestrial mobile devices in both SkyTerras and TerreStars networks, said Ronen Ben-Hamou, Vice President and General Manager of Software Defined Radio mobile platforms in the Wireless Division of Infineon. Together with our partners we leverage the flexibility and efficiency of our SDR technology into this connected-anywhere mobile environment, enabling operators to provide very compelling multi-standard communication devices to even the most demanding end users. We are very pleased to work with Infineon on the development of an SDR-based chipset platform, said Drew Caplan, Chief Network Officer for SkyTerra. With this agreement, we are taking another significant step toward making combined satellite-terrestrial communications a reality for consumers, enterprise, government and public safety users. We anticipate that this SDR chipset agreement will expand our marketopportunities as well as the range of technologies and potential devices that will be satellite-terrestrial capable, providing consumers with additional cost-effective purchase options. Dennis Matheson, Chief Technology Officer at TerreStar, added: The Infineon SDR chipset is a tremendous addition to our chipset program and greatly expands the universe of devices that will be satellite enabled. In addition, the programmable nature of SDR technology allows for feature upgrades via software and shortest-ever turn-around times for nextgeneration products. We look forward to using this chipset platform to perform additional handset trials on our evolving 4G network. To enable satellite connectivity in the SDR platform, Infineon will integrate GMR1-3G technology furnished by Hughes Network Systems, a market leader for mobile satellite solutions. Infineons SDR mobile platform, called XMM SDR 200, requires only one single baseband device, the X-GOLD SDR 20 and one single RF transceiver, a member of Infineons leading SMARTi family. As X-GOLD SDR 20 also includes all power management functions on-chip, less than half the number of key components are needed compared to previous modem solutions. This platform enables satellite-terrestrial terminals in a small form factor comparable to todays cellular-only mobile phones. The XMM SDR 200 is an extremely cost- and energy-efficient solution, requiring only one dedicated chipset for the two distinct standards. With this platform, Infineon once again demonstrates its capability to provide semiconductor solutions that connect people and increase energy efficiency in electronic devices. First platform samples will be available in Q3 of 2009. 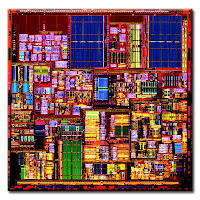 Checkout our Shareware VLSI CAD/CAE/EDA Software! section below to benefit from the numerous tools the Academic community has to offer. We will be updating as quite often as possible as we find more tools. Please comment to share the links you have found that will be of interest here. We really appreciate your support. Updated to get the links here in this same post!!! APLAC - A flexible analog circuit simulation and design tool! Free HDL: A project to develop a free, open source, GPL'ed VHDL simulator for Linux! p2m : A GIMP plug-in for converting image files into formats that are compatible with integrated circuit and printed circuit board layout tools! Stanford TCAD: Development of Computer-Aided Design for more than two decades! Effective communications skills for the Industry - Being politically correct! Being politically correct is to being sensitive to people, their cultures with the evolving environment and society! Here are some examples.. The words in brackets should be avoided during conversations...!!!! There are many words like these and the above list is just a hint..
Liveattendees who also submit the feedback form will be eligible to win a FREE 8GBiPod Touch (value approx. $250). Unmanagedtiming-ECOs during the final stages of design can severely impact your tapeout schedule. Join our experts to learn how to usesignoff-driven SI-closure to keep your schedule on track and your performanceon target. This is the first in IC Compiler 2009 Webinar Series highlightingkey technologies for speeding design closure. Up-coming topics includeplacement-congestion minimization, power-rail design and in-design physicalverification. Dr. Henry Sheng is R&D Group Director for Design Closure in ICCompiler. Henry and his organization are responsible for implementationextraction, timing and signal integrity, as well as Multi-corner Multi-mode(MCMM) and post-route closure. He has been with Synopsys since 1996. Henryholds a Ph.D. degree in Electrical Engineering and Computer Science from theUniversity of California, Berkeley. Dr. JinanLou received his B.S. degree in Computer Engineering and Computer Science, M.S.and Ph.D. degrees in Computer Engineering, from University of SouthernCalifornia, Los Angeles, in 1993, 1995 and 1999, respectively. He is currentlya Principal Engineer at Synopsys. His research interests include physicaloptimization, layout driven logic synthesis and post-layout optimization fordeep-submicron technologies. COOL Chips is an International Symposium initiated in 1998 to present advancement of low-power and high-speed chips. The symposium covers leading-edge technologies in all areas of microprocessors and their applications. The COOL Chips XII is to be held in Yokohama on April 15-17, 2009, and is targeted at the architecture, design and implementation of chips with special emphasis on the areas listed below. The COOL Chips Organizing Committee will ask the MICRO to publish selected papers in a special issue on COOL Chips XII. * Low Power-High Performance Processors for Multimedia, Digital Consumer Electronics, Mobile, Graphics, Encryption, Robotics, Networking and Biometrics. * Novel Architectures and Schemes for Single Core, Multi-Core, Embedded System, Reconfigurable Computing, Grid, Ubiquitous, Dependable Computing and Wireless. * Cool Software including Binary Translations, Compiler Issues and Low Power Techniques. 1. Be very clear in your thought and be prepared about what you want to say. 2. Be aware of high risk situations and know what you don't want to say. 3. Be confident, but not very confident. 4. Understand what is needed of the discussion. 5. Always do your homework while understanding the product or service. 6. Listen diligently! This applies for both verbal and non-verbal communication. 7. Always ask searching questions to show you are interested. 8. Be clear in matter while trying to keep it short and simple. 9. Be sensitive to others. 10. Keep a positive attitude while using positive and accurate language. 11. Be genuinely convinced and enthusiastic. a. Verbal communication and body language should communicate the same message. 12. Be very clear in speech. Extra verbal - Should convey correct meaning! Intra verbal - Use appropriate voice modulation to adjust pitch and speed. 13. Pick up the signals early. Signals can be Confusion, Resentment, Disinterest, Skepticism, Pre-Occupation, Objection, Anger etc. 14. Never assume things. Ask and Listen. 15. People like to be liked - This is the Human factor. 16.Always address the person by name and try to recall likes and dislikes. 17. Offer a choice of things! 18. Use words to express and not impress. The next big step is in controlling communication through probing techniques! Probe to identify needs, concerns or views. Here needs can be satisfied to achieve objectives and to further or add value to your service or brand. Concerns and views have to be empathized about and addressed. An open probe is one question that may have an elaborate answer. An example would be "What are the critical concerns and priorities in your business?". Open probes can be used encourage customers to speak freely about a topic of their choice. A closed probe is one that has a a very short answer. An example would be "Will you be paying by cash or card?". These can be used to control and direct the communication. When open probes don't work, closed probes can be chosen from prospected information in observation or clues the customer gives during meetings or any other teleconferences. Open-Source EDA Tools - No supporters? Why is there a lack of usable open-source tools in the commercial EDA industry? The academic world has many tools to boast of but not many are industry worthy! Hypothetically, all the best software tools in the world should be Open-Source due to the kind of collaboration that can be leveraged from all the smart brains the industry can offer. Why is it not happening like other software specific applications?Why isn't there a IBM or SUN in the EDA world that can do what these two did to the software world? Why Synopsys and Cadence are shying away from these burning questions? Is it a matter of time this may happen due to the current state of the global economy or is it due to the present state of industry consolidation which may rule out any scope all together? As a matter of fact, when Google hires it engineers it looks at what open source projects the candidate has worked on during his free time! Do we have a pioneer who can think in these terms? Can Mentor Graphics or others start this trend? There is indeed a very important factor in the lack of traction for open-source in EDA. They are the engineers. Engineers who have both domain expertise and skills to make a meaningful contribution to any sophisticated EDA tool are relatively very small. Even if they did, all of them are already working either for EDA giants or for internal tools groups at other big semiconductor firms that have strict employment agreements. It is possible that most of these specialized people aren’t particularly free to contribute to an open source EDA in their “personal” free time. I would really appreciate your comments and opinions on this important Topic. H-1Bs: Should US visa policies adjust in this economy? Communications skills play a very vital role in today's competitive business environment. It is also critical in a core technical environment where the success of your product or service will depend on how effectively you communicate and share your ideas and opinions. The following series is my humble attempt to share my views on effective communication from my past experiences of working in a multi-cultural and cross site setting, spanning various geographic zones. This will be more general that can be applied to any industry rather than just Electronics or Semiconductors! The following are the topics i will be writing about and i hope to get your valuable feedback. If you feel that i should talk about some specific topic please leave a comment and i will address that. Importance of Feedback - One size will not fit all! What to know who i am? Then explore me on Blogger or LinkedIn! An in-depth technical webinar focusing on low power verification methodology. Description: Power management and low power design bring a whole new assortment of bugs and failure mechanisms to IC designs. The task of verification, already a critical path in the delivery of the chip, now needs to take on additional tests and flows to ensure that the power management scheme is functional. The complexity of power management and the broad spectrum of design scenarios could easily lead to escaped bugs without a rigorous methodology in place. In this webinar, we will focus first on the complexities and changes brought about in the low power era and the bugs types that are new to low power design. We will then cover the process of rigorous verification for low power and present a structured and reusable methodology for low power. The webinar will highlight the VMM extensions to base classes for low power that can be quickly used to replicate an efficient verification environment for low power designs. All the concepts covered in this webinar are detailed in the recently published "Verification Methodology Manual for Low Power" (VMM-LP), which customers of Synopsys can download in a PDF form from www.vmmcentral.org/vmmlp. Following the presentation, a formal Q&A will take place. Free E-Books Download - RSS Subscribers Only! Subscribe to our RSS Feeds to download your copy of the E-Book. E-Book: The Digital Signal Processing Handbook. Read further to find out how! To download this and future E-Book's, please look at the bottom of the post in your preferred RSS reader. See example below! It has been a while since we posted any puzzles or interview questions to tickle everyone's teeny brains. Recession has hit us in a big way and there seems to be a running drought in originality of the interview questions asked now-a-days. Even the ones shared on the various blogs that have cropped up these days are either ruthlessly copied or "massaged". Dont you think so? So to say, that while keeping the spirit or creativity and intelligence alive and hoping that the recession passes without much a casualty here is one next in line to our trend of Original Interview Questions. Hurray! Look at the following block. This is the most common building in any FPGA. 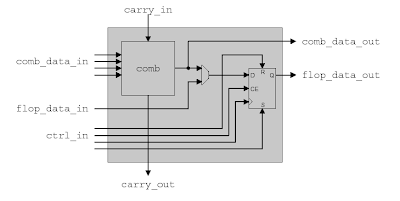 It is called a Logic Element(LE) by Altera and Configurable Logic Element(CLB) by Xilinx. The structure may not be accurate but illustrates the idea behind it. We estimate the number of FPGA cells required for a design by counting the number of flip-flops and primary inputs that are in the fanin of each flip-flop. Only flip-flops count, because combinational signals are collapsed into the circuity within an FPGA cell. The circuitry for any flip-flop signal with up to four source flip-flops can be implemented on a single FPGA cell. 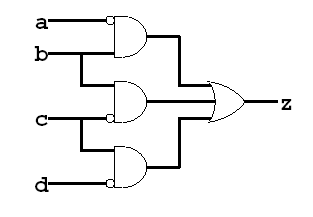 If a flip-flop signal is dependent upon five source flip-flops, then two FPGA cells are required. This technique is generally an overestimate, because a single cell can drive several other cells (common sub expression elimination). Map the combinational circuits below onto generic FPGA cells. You could explain in words on how you could achieve this or send me an email. Appreciate your comments. Based on the solution received, i will post the answers here later! Good luck! Full list of conferences, complete calendar with paper deadlines and event dates. Custom Processor / Programmable Accelerator Design and Implementation. Getting Started with Virtual Platforms: A Software Developer Perspective. Challenges for LTE Wireless Systems Design. These webinars will also be recorded for viewing it later as per participant’s convenience. As companies are looking to improve their competitive advantage, the need for programmable hardware accelerators, ASIPs and custom processors is growing rapidly. They provide the solution to performance and flexibility challenges electronic system designers are facing today. But, in today s economy where there are fewer resources and everyone has cost reduction on their mind, how can you design them efficiently? How can you generate efficient RTL? How can you equip the software developers with the right linker, assembler, compiler, simulator and debugger? * Concepts and reasons behind developing custom processors and hardware programmable accelerators. * Design and implementation steps and how these steps can be streamlined using efficient and powerful design tools that automate the exploration, RTL implementation and software development tools. * How the generated processor can be used for development and verification in a Virtual Platform for Software Development, an FPGA or an RTL emulation environment. The ability to debug and analyze software defects efficiently is a key requirement in order to complete a software project successfully and on time. Especially when porting legacy software such as an OS or migrating sequential code to multi-core platforms, powerful debugging tools and methods are indispensable. This one hour webinar gives a technical overview and various practical examples on the usage of virtual platforms for debugging. Virtual platforms enable a whole new world of software analysis and debugging solutions. An OS-aware software analysis framework eases the understanding of the history and interaction between multiple parallel software stacks. The controllability and visibility of virtual platforms enables engineers to trigger and analyze multi-processing defects such as dead-locks and race conditions. Correctness and performance of complex shared-memory communication, task scheduling and control can be asserted which results in a significant quality and productivity gain for the software engineer. Long-Term Evolution (LTE) wireless systems have 5-10x higher processing complexity than currently-deployed 3G wireless systems. This creates a unique pressure across all aspects of the handsets, the basestation and the network. Previous product platforms have to be significantly re-architected and entirely new software applications have to be developed to take advantage of the much higher bandwidth that LTE is targeted to provide. In this webinar, we will explain those design challenges and offer different approaches that design teams can take to deliver advanced products. The webinar targets development managers across the supply chain that are developing LTE products today or are planning to get involved in the near future. Whether you are a manager inside a network operator, basestation or handset OEM or you are in a semiconductor company, you should participate and learn about how you can meet your LTE product roll-out schedule within your tight development budgets. Specman e-language powered by random generation concept. specman e-language is an HVL (High Level Verification Language) and an IEEE standard language used for constructing complex verification Environments. ‘e’ code written can never execute stand-alone without the Specman tool. The primary purpose of Specman e-language verification environment is to find more complex bugs for a given DUT (VHDL/Verilog) rather than using Test benches written in Verilog or VHDL. Test benches written using ‘e’ language run on Random approach using the built in pseudo random mechanism and as well executed using Constrained Random approach! At a Glance, an ASIC (Application Specific Integrated Circuit) can consolidate the work of many chips into a single, smaller, faster package reducing the manufacturing and support costs while boosting the speed of the device built with this technology. ASIC technology is so advanced that many functions traditionally implemented in software can be migrated into ASIC's functionality. More specifically, ASIC let designers think in terms of Hardware Design connectivity and use the power of constantly improving silicon technology to improve the timing and build devices targeted to specific functions like wireless or consumer electronics domain. ASIC technology can give a performance improvement of up to threefold and can be always compared with the same functions being executed in software. Over the past decade, ASIC technology has seen major changes or improvements in density and performance driven by the smaller processes of the silicon. Now a days Most of the Major Companies involved in developing the ASIC's solution targeting from 65nm to 45nm technology. The ASIC verification plays a vital role in proving that the Product is tested in all modes of functionality. To Address the issue of ASIC verification customer will tend make use language construct like VHDL/Verilog for modeling the RTL behavior and High Level Verification Language construct like specman 'e' language or System-Verilog which will help in modeling BFM and as well as generating the scenarios either in Random or Constrained manner. Just a day after, the all unexpected The Universal phone charger is a reality! In india, being laid off is a taboo. Though most of us have thought through some sort of a plan, it will be foolish to think that gone are the days to pretend this is not happening. I personally having gone through that phase in the US during the last recession, it is somewhat familiar to me in the post-layoff days while saying i am not completely immune. Today there is a generation of us in the indian workforce, totally unfamiliar with layoffs, and totally unfamiliar with the idea that a job is actually 100% insecure. The good news about this is that there is not a huge difference between someone laid off and someone not laid off in that all of us feel vulnerable, scared and cheated in some ways. Which also means that some etiquette has to be followed in that it is different than it used to be for talking to someone who’s been laid off. 1. Never ask "how's the job hunt?" Because the job hunt doesn't change much from day to day, but it's far more demoralizing to report that in someones face. 2. Ask about things like hobbies, kids, and their health – all interesting topics to talk about. 3. Talk about the current affairs & industry news in general - Tell the person what you're working on. Trends you're hearing about. Personnel shifts you've seen. Also, gossip counts as news. Workplace gossip is a positive way to bond. Forget what your mom told you about gossip being bad karma. In this case, gossip equals good karma. 4. Offer atleast one good contact - You need not pretend that connecting in LinkedIn or facebook is going to help his cause, because he should have been building the network long before the layoff loomed. But you could offer up one person you know well who could talk with the person. 5. Acknowledge trouble with the significant other - On this is tricky! More men are getting laid off than women, which puts women in a bad spot because most women choose a husband thinking he'll earn more. Today it's a fair game, and even compassionate to acknowledge. 6. Don't be shy of gratitude - Tell a co-worker who’s been laid off that you miss him or her. And what you miss. It's hard to keep up morale when you're looking for a job. And so often we forget what we are talented at because rejection makes us feel totally un-talented. Harry Gries has announced what could be the first SaaS EDA roundtable. He had been discussing this for a while on his blog on how this new trend in IT could be leveraged for the EDA industry and to a sort of feasibilty analysis. This will be held at 2009 DVCon and below are the details. You can download our Free E-Books & Publications only by subscribing to our RSS feeds or E-Mail updates. All the E-Books and publications are in PDF format and the files are password locked to protect ours as well as any guest authors copyrights and for the sake of information security. All passwords should be requested strictly by email using the form or email address provided on the main page. The requests will be served on first come first serve basis. We really appreciate your kindness and thanks for supporting us.